Silver Peak VRX software was designed for the storage professional. 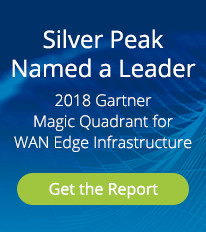 It combines advanced WAN acceleration technology, simplified deployment methods, and subscription pricing options to deliver up to 20x faster remote replication. With VRX, storage managers can easily meet, or shrink, their recovery point objectives (RPOs). The VRX software deploys with just six simple steps, and does not require networking expertise. Whether it is replicating between data centers or using a Disaster Recovery as a Service (DRaaS) offering in the Cloud, Silver Peak VRX easily overcomes the challenges of limited bandwidth, latency, and poor link quality to help customers move more data over longer distances. Silver Peak VRX products are compatible with any IP-based data protection application, including most backup and replication products. Below is a partial list of compatible products. Solves network bandwidth, distance and quality challenges to deliver maximum replication throughput over a WAN. Proven integration. Works with all IP replication solutions. Industry leading scalability. Easily replicate several TB per hour. Deployed in minutes. No networking expertise required with storage redirection deployment. Meet Recovery Point Objectives (RPO). Replicate more data in less time to remote offsite locations. Replicate over longer distances. Eliminate distance limitations between source/target devices. Improve business continuity. Maintain redundant data centers for hot failover. Lower disaster recovery costs. Eliminate costly dedicated networks for replication; avoid bandwidth upgrades. Enterprise Strategy Group assesses the costs and benefits of implementing Silver Peak replication acceleration software.